Winner of the 2005 NAACP Image Award as the "Outstanding Actress in a Motion Picture" for Ray, Kerry Washington is a versatile, talented and fearless actress who has built an impressive list of credits over the course of her relatively brief career. She has also garnered critical acclaim for recent roles in Mother and Child, The Last King of Scotland, The Dead Girl and Lakeview Terrace. Kerry made her feature film debut in Our Song in 2000, and has since co-starred in Fantastic Four and its sequel Rise of the Silver Surfer, I Think I Love My Wife, Little Man, Mr. and Mrs. Smith, She Hate Me, Against the Ropes, The Human Stain, and Save the Last Dance for which she received a Teen Choice Award for Best Breakout Performance. She will soon be seen opposite Eddie Murphy in A Thousand Words and then in We the Peeples, an ensemble comedy featuring Craig Robinson, David Alan Grier, Tyler James Williams and S. Epatha Merkerson. She currently has two films in theaters, For Colored Girls and Night Catches Us. Kerry is an active member on the Board of Directors for The Creative Coalition, a group dedicated to raising awareness of First Amendment Rights and to the support of the arts in education. Plus, she's a member of the V-Counsel, a group of advisors to V-Day, the global movement to end violence against women and girls (www.vday.org). As for endorsement deals, Kerry is a spokesperson for both L'Oreal Paris and Movado. Kam Williams: Hi, Kerry, nice to speak with you again. Kerry Washington: Hey, Kam, how are you? KW: Very well, thanks. My son said he came to see your lecture at Princeton University last semester. He's a junior there now. Kerry: Cool! Congratulations! That's exciting. KW: Thanks. I told my readers I'd be interviewing you, so I think we should get right to their many questions. 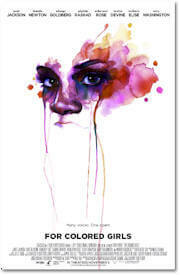 Children's book author Irene Smalls asks: What attracted you to the role of Kelly in For Colored Girls? Kerry: I really just wanted to be a part of the production. I had heard a rumor that Tyler [Perry] was directing it, I so I approached him at one of these industry parties, and said, "If it's true, I want in, because it's such an important piece of literature." KW: Irene says: This play was written some time ago. Do you think it is still relevant to today's black woman? Kerry: I do. I do. I think the play is still relevant to all human beings, not just black women. KW: FSU grad Laz Lyles asks: What is it about Tyler Perry that enabled him to assemble such an accomplished cast? Kerry: He's a very inspiring person, when you look at the empire that he has created and built on his own. He wasn't born into it. Kerry: It was really fun for me to do this because I was coming off doing the David Mamet play "Race," on Broadway. And that character was so forceful and angry and smart and sharp and verbally articulate. Kelly is almost the opposite. She's very vulnerable and soft in a good way. Her role is to be a witness of these women and their journeys. It was a wonderful challenge for me as an actor to have to immediately exhibit the opposite qualities of those that I had been cultivating for almost a year. KW: How was it having Hill Harper play your husband? Kerry: It was great to have the opportunity to work with Hill, since he's a friend, and we've traveled together along this political/artistic path. It was also nice to be able to tell this story of supportive, positive love between a black man and woman. I know that was important to Tyler and we felt very blessed to take on that responsibility. KW: Reverend Florine Thompson asks: Even though the film is specifically about "Colored Girls," would you say it explores themes which resonate with all women? Kerry: Absolutely! On the set, we even talked to each other about how universal the journeys of these characters are. So, the spectrum of colors that we're referencing really reflects a rainbow of human emotions. We're talking about being sad and blue, or red with rage, or green with envy. Those are the colors that we girls are embodying. KW: Editor/legist Patricia Turnier is wondering: What African-American icon would you like to portray in a movie? Kerry: Angela Davis is somebody I have my eye on. Also Diahann Carroll. KW: Yale grad Tommy Russell asks: What do you struggle with as an actress: honesty in your roles, diving into the depth of your characters, or just navigating the crazy landscape of Hollywood and auditioning? KW: Marcia Evans asks: How do you feel about the recent backlash against President Obama? Why hasn't there been a massive pushback by the Democratic Party against all the recent unfair rhetoric? Kerry: It's exciting to me that people know that I'm someone who's very political. For full disclosure, it's important for me to say that I'm a member of the administration now because I'm on the President Obama's Committee for the Arts and Humanities. So, I'm not unbiased. I'm really proud of everything that he's accomplished in his first couple of years. I think it's great that all of us Americans were inspired to work so hard get him elected. But now, the most important thing people can do in this representative democracy is to stay active and interested, if we want to continue the momentum of change. Kerry: I think I am, for the most part. But everybody has ups and downs, right? I have bad moments, but not many bad days. Kerry: Baking and decorating cakes, but I don't even eat them, because I try to stay away from wheat. I just made my own icing from scratch the other day, but it didn't come out very well. I'm working on refining that. 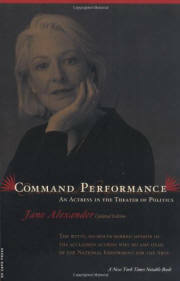 Kerry: Jane Alexander's memoirs called "Command Performance." Kerry: Hot Tottie by Usher and Jay-Z. Kerry: I have so many it would be impossible to say. Kerry: I don't know. I really don't know. If I ever have a family one day, everything else will pale in importance to that. Kerry: I see an ever-unfolding process. Kerry: For a million more wishes. Kerry: Being in my stroller in the elevator in the building where I grew up in the Bronx. Kerry: Study! Study ! Study! Get an education. 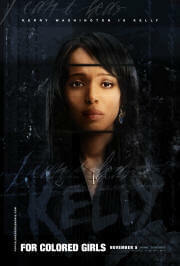 Kerry: It would be super if people visited my new website, www.KerryWashington.com. Kerry: I do. I do. I think everything in life happens for a reason. I always think there's room for me to improve as a person. Kerry: Through prayer and meditation. And I have really good friends and family, and a great therapist. KW: The Tavis Smiley question: What do you want your legacy to be, and where are you in relation to that at this point in your life? Kerry: I'm not really sure. I don't think in those terms, exactly. I just want to keep having the courage to raise the bar for myself, and to keep striving for excellence in artistic integrity and public service. And to continue to challenge myself to move outside of my comfort zone, personally and professionally. KW: Thanks again, Kerry, and I look forward to speaking to you again soon.